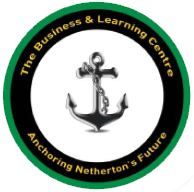 The Savoy Centre in Netherton has welcomed over a hundred school children over the past year to participate in a series of maritime themed workshops that recognised the area’s historic link with the Titanic. Youngsters from Sledmere Primary school in Dudley and St Georges Primary School in Kidderminster were able to examine a full size replica of the Titanic anchor, now located in the old market place in Netherton, and then took part in a series of hands on collage and craft workshops. The workshops were designed to provide young people with the opportunity to develop an understanding of the shipbuilding industry, which was prominent in the Black Country years ago.